We have a… thing for the squirrels here in State College, PA. This was on Facebook. Sometimes squirrels aren’t little thoughts scurrying in our minds, but simply cute, fuzzy creatures. I’m sorry I haven’t been posting lately – here’s why. 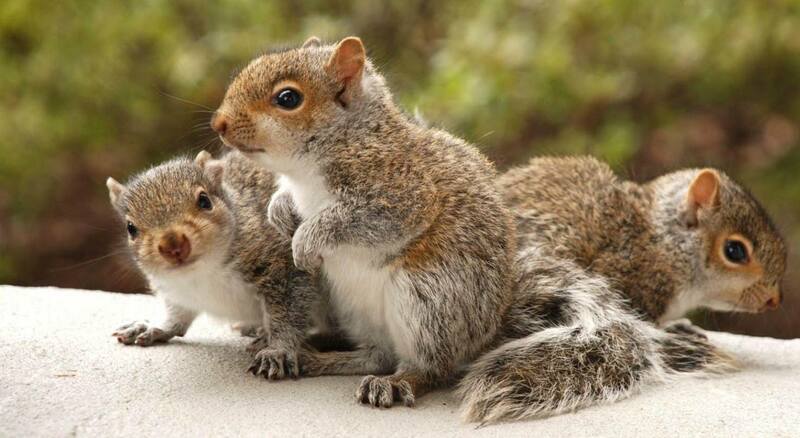 Squirrels have two litters per year – the first in late May/early June, and the second in late August. I’ve been so busy raising another batch of little kits that I just haven’t had the time to do much modeling work! Currently, my babies have all their fur, and their big, bright eyes are open, but they’re too little to leave the nest yet – they…’re about the size of chipmunks and could fit in the palm of your hand! This picture I found on the internet isn’t mine, but it should give you a good idea of what my babies look like. Of course, I’m not the only mama squirrel on campus. Many of the trees around here are full of leafy squirrel nurseries right now -if you walk past one and look carefully, you might see tiny squirrel faces looking down at you!